I hope everyone is enjoying the start of the weekend! After a week of work (or school), it’s time to relax and put on something comfy! But before you know it, it’s Monday again! So I’m going to show you an outfit that I like to wear for dressier day at work or a business lunch. 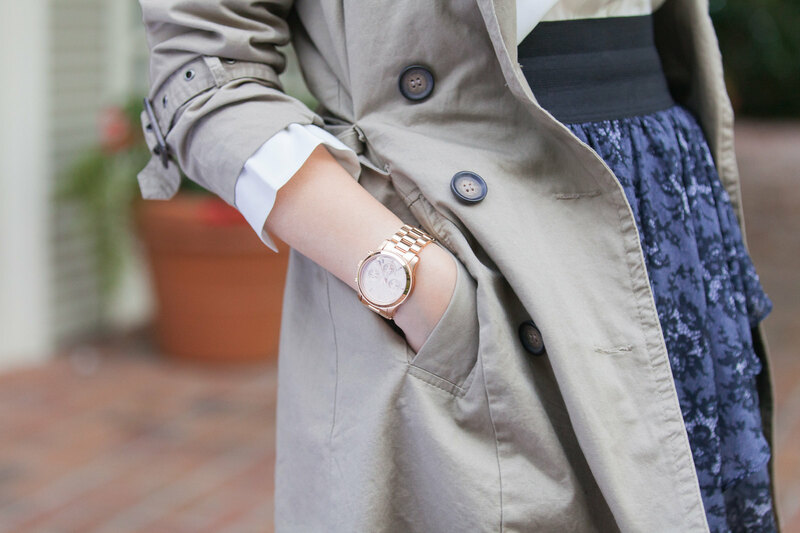 I paired a classic taupe colored trench coat with a free-flowing silk blouse and a bright navy blue patterned skirt. 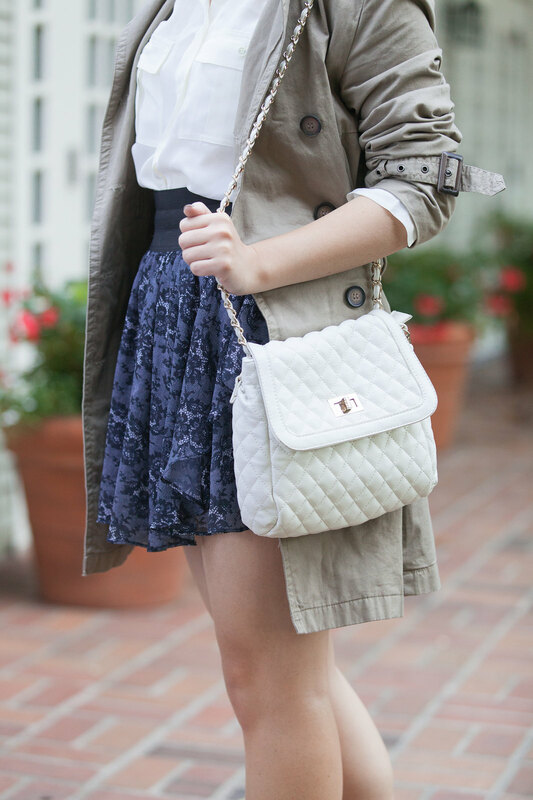 The patterned skirt adds a bit of dimension to the otherwise neutral colored outfit. 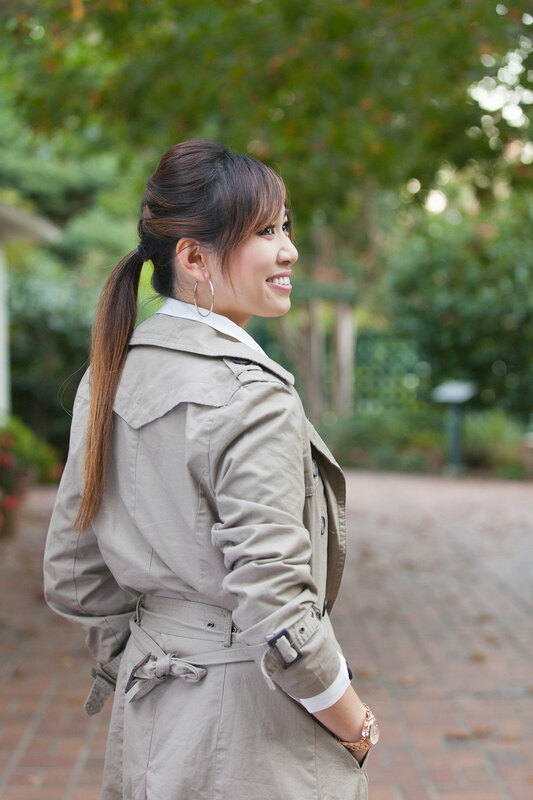 Add a bit of accessories, and this outfit is now glam’ed up for work or client meeting! What do you guys usually wear to business lunches, or any kind of professional lunch? Comment below!